'국민 여러분!' Choi Si Won, counter-attacker of the veteran cheater has begun! UP rating! Choi Si Won's nomination! The reason why we are looking forward to the folks! '국민 여러분!' Choi Si Won (SUPER JUNIOR SIWON, SM) has begun to change. In the 7th and 8th episodes that were broadcast on the 9th, Yang Jung Kook approached the lottery winner elderly couple on the promise of Kim Joo-myung (Kim Eui-sung) The story of punishment was drawn. Particularly in this process, Yang Jung Kook finds out that he has become the target of his wife Kim Mi-young (Lee Yoo-young) who returned to the intelligence crime lab, Bee and focused on viewers. However, Yang Jung Kook, who heard the sincere story of the old couple, expressed a feeling of sorry and canceled the contract, and decided to try not to deceive people and decided to try a parliamentarian by himself, and amplified the expectation of future development. In this broadcast, Choi Si Won, who plays Yang Jung Kook, succeeded in convincing viewers with a variety of expressions and tones in a variety of expressions and tones of the character's psychological changes that he would like to become a real "lawmaker" , Chasing after chasing was also urgent and got a good response. On the other hand, the audience ratings of 7th and 8th times were higher than those of the previous broadcasts by 6.9%, 7.9%, and 8.4%, respectively. In the first week of broadcasting, the content influence index ranked first, And has been loved by many. 'Heart 4 U' XIUMIN, 'Special Day' to send with friends! Practice bucket list of XIUMIN! What is the result of friendship between XIUMIN and SUHO? EXO XIUMIN (SM) unveils a special day with friends this week through 'Heart 4 U'. In 'Heart 4 U', which is broadcasted on April 10, XIUMIN meets with friends who have been in their early childhood and can be seen in one of the bucket list '사주 보기', and reveals a small secret of his birthday , EXO Among members who want to see friendship chemistry SUHO pointed out that XIUMIN has chosen SUHO amplifies the question of why. XIUMIN, who is surprised at the unexpected result of the friendship result of XIUMIN and SUHO, is surprised by the unexpected result at the 9th broadcast on the 12th. He said, "Looking at Kim Jun Myeon?" It is expected to focus on interest because it is going to unfold a visit to café that is filled with sensitivity. On the other hand, EXO's personal reality series 'Heart 4 U' XIUMIN will be broadcast on Mondays, Wednesdays and Fridays at 7 pm NAVER TV and V LIVE (V App) 'Heart 4 U - mySMTelevision' . Action - Comic-bromance Got it! Life character premonition! - 'Cho Jang Pung' Kim Dong Wook, preoccupation! - 'Cho Jang Pung' Kim Dong Wook, cheering on the action! 'Cho Jang Pung' Kim Dong Wook predicted a new life character. Kim Dong Wook, who plays Cho Jin-gap role in MBC drama '특별근로감독관 Cho Jang Pung', gave excitement. Cho Jin-gap thought that Kim Sun-woo (Kim Min-kyu) investigated SangDoTravel and that the actual owner of SangDoTravel was Koo Dae-gil (Oh Dae-hwan) of Mirinea Foundation. Cho Jin-gap, who was allowed a week's time despite Ha Ji Man's (Lee Won-jong) resignation to investigate, joined Cheon Deok-gu (Kim Kyung-nam) to launch the SangDoTravel survey. Cho Jin-gap used the law to push the trap and squeezed SangDoTravel and Mirinea Foundation. Cho Jin-gap continued to investigate Koo Dae-gil's interference. Cho Jin-gap hit SangDo's headquarters and gave viewers excitement. In 'Cho Jang Pung' 3 and 4, broadcasted on the 9th, Kim Dong Wook increased the immersion of the drama with colorful expressions and positive ambassadorial calendar. Kim Dong Wook 's comic drama shone in the scene where he was given a nickname of' Cho Jang Pung 'when he was a gym teacher in the past. In addition, in collaboration with Kim Kyung-nam, Kim Dong Wook's previous work '손 the guest' was made to expect the bromance of 'Cho Jang Pung' connecting Kim Jae Wook and 'Kimi'. Not only that, Kim Dong Wook added persuasiveness to the character of Cho Jin-gap, who has not been able to endure injustice even since he was a public servant. 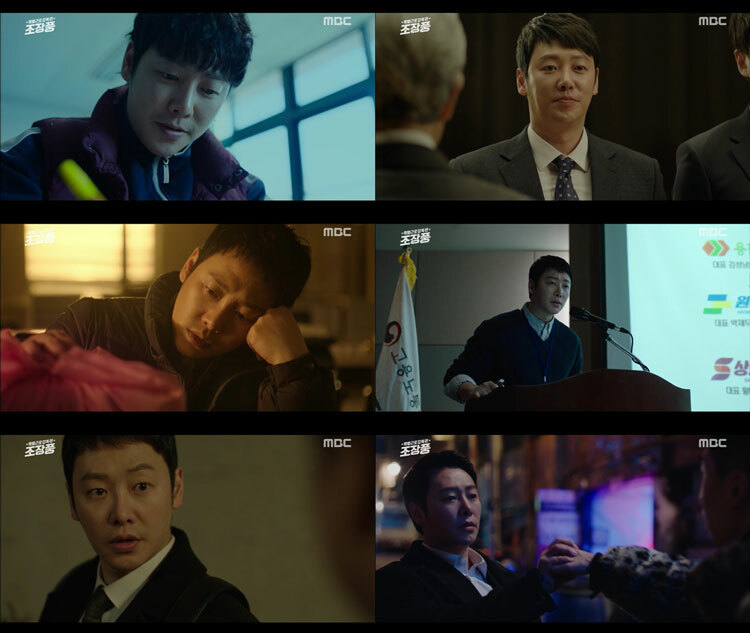 'Cho Jang Pung' draws the dark side of society with a more realistic material than reality, but Kim Dong Wook's acting, which goes back and forth between sincerity and enthusiasm, adds vitality to 'Cho Jang Pung'. . Meanwhile, Cho Jang Pung, a MBC drama "특별근로감독관 Cho Jang Pung", which is supporting MBC drama, which is supporting the birth of realistic material and realistic tailored hero from the first broadcast, is Kim Dong Wook, Kim Kyung Nam, Park Se Young, Ryu Duk Hwan, Seol In Ah , And Lee Won Jong. They will be broadcast every Monday and Tuesday at 10:00 pm. '와이키키2' Mun Ka Young, Feel + Passion Filled with drums! - '으라차차 와이키키2' Mun Ka Young, a more natural and comical act! - Mun Ka Young, IU 3rd stage treble → Girl group choreography! '으라차차 와이키키2' Mun Ka Young showed a comedy. Mun Ka Young, who plays Han Soo Yeon in the JTBC drama '으라차차 와이키키2', is showing comedy with a model part-time job. Soo Yeon was shown vocal training to Woo Sik (Kim Sun Ho) in the 6th episode on the 9th. Woo Sik taught Soo Yeon, who is a very talented drummer, and he often endured anger, but Soo Yeon's ideal was a good man. Soo Yeon, who does not know that he is a drummer, did not realize that Woo Sik was making an enormous anger in his imagination. Soo Yeon's passion for practicing day and night, Woo Sik was getting better and more laughing. Soo Yeon showed up wearing a wireless microphone as he was about to go into action. Yoo (Ye Yeon), who learned the skills of Soo Yeon, was in shock, and Woo Sik was in painful and funny situations, even diagnosing the vases. However, Soo Yeon complained to Woo Sik's lesson that Woo Sik's anger reached its limit. Woo Sik exploded the anger that he had accumulated as usual, but he laughed at the people who actually wandered, not the imagination. Mun Ka Young laughed at the audience with his full-blown voice acting. IU's 'Good Day' was full of confidence in the third treble, while SUNMI's Gashina, MOMOLAND 'BBoom BBoom' and TWICE 'CHEER UP' both choreographed and singed. Mun Ka Young, who is breathtaking and soaked with music, laughs. Mun Ka Young, who had previously enjoyed comic acting, has repeatedly shown his comic talent and glowing presence. Kim Sun Ho, Lee Yi Kyung, Shin Hyun Soo, Ahn So Hee, and Kim Ye Won are synergistic with Digitizing the delightful laughing code unique to '으라차차 와이키키'. On the other hand, JTBC's "으라차차 와이키키2" starring Mun Ka Young is broadcast every Monday and Tuesday at 9:30 pm. '특별근로감독관 Cho Jang Pung' Kim Si Eun, first appearance as a hacker! - '특별근로감독관 Cho Jang Pung' Kim Si Eun, Ace is the youngest present! - Kim Si Eun, liquorice stabbing visual and gorgeous! Snowball bang! Kim Si Eun captivated the viewers with the charm of '특별근로감독관 Cho Jang Pung'. Kim Si Eun was hacker Oh Dae-ri in MBC drama '특별근로감독관 Cho Jang Pung'. Oh Dae-ri is a talented person with a sharp job hacking and hacking ability, and will be performing an all-around ace in the office of Chen Deog-ku (Kim Kyung Nam). In '특별근로감독관 Cho Jang Pung' 3 and 4, which was broadcasted on the 9th, Gapeul plan members and Cho Jin-gap (Kim Dong Wook) met and followed Koo Dae-gil (Oh Dae-hwan). Oh Dae-ri contributed to Koo Dae-gil's background by making a black box copy of the Koo Dae-gil vehicle and an elevator with Koo Dae-gil, with excellent hacking abilities. In addition, Oh Dae-ri focused on the audience's attention with its unique character. It shows the remark that does not choose the grade, and it is fun. Kim Si Eun showed off his charm by releasing the stunning Oh Dae-ri character with stable smoke. Kim Si Eun's refreshing visuals and the character of Oh Dae-ri character Mai We meet and are drawing more attractive characters. The role of Oh Dae-ri of Kim Si Eun, who has been playing an active role in this new face, has attracted many viewers' attention and expectations. Kim Dong Wook and Kim Kyung Nam, and Kim Si Eun, the youngest actor in the Gapeul project arose. On the other hand, MBC drama '특별근로감독관 Cho Jang Pung' directed by Kim Si Eun is broadcasted every Monday and Tuesday at 10 pm with Kim Dong Wook, Kim Kyung Nam, Ryu Duk Hwan and Park Se Young. Choi Si Won, a con man, not a con man! My wife decided to run for parliamentary worries! "국민 여러분!" Choi Si Won (SUPER JUNIOR SIWON, SM) 's feelings exploded. Choi Si Won is playing a role as a veteran cheater 'Yang Jung Kook' in the KBS 2TV drama '국민 여러분! ', Which tells the story of a police officer who is married to a police officer who is caught up in an incident he does not want and is running for a lawmaker. Yang Jung Kook, who thought that Kim Mi-young (Lee Yoo-young) was in danger of falling into a dangerous situation due to himself, Deciding to run for a member of parliament. However, at the end of the broadcast, Yang Jung Kook faced a crisis of confessing himself as a cheater, failing to cheat Kim Joo-myung (Kim Eui-sung), an expert who would make him a lawmaker. In this broadcast, Choi Si Won expresses well the act of bursting with emotions such as crying and screaming to protect his wife as well as tears acting with a mixture of sorry and self-assurance, adding the possibility of the drama and enriching the contents to increase the immersion of viewers . On the other hand, "국민 여러분!" 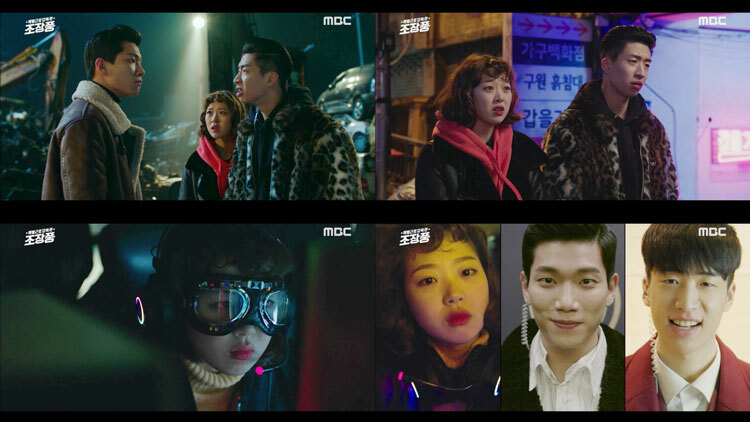 Is gathering popularity with the fast-paced story of coming and going comics, sadness, satire and humor, and it can be seen on KBS 2TV every Monday and Tuesday night at 10:00 pm. Yoon Jong Shin ∙ MAMAMOO ∙ Zion.T ∙ Norazo, etc. 'ㅋㅋ페스티벌' official ticket was sold out in 4 minutes. - Blind tickets, tickets for 'VIP of the delivery' VIP discount tickets sold out to the official ticket! Yoon Jong Shin, MAMAMOO, and Zion.T, which have been collecting hot topics, have been sold out in the fastest time. The 'ㅋㅋ페스티벌' held on May 25th was sold out in 4 minutes to the official ticket sold through the Interpark ticket at 2 pm on the 9th following the blind ticket and VIP discount tickets of the '배달의민족' Proved. 'ㅋㅋ페스티벌' is a new type of festival focusing on eating and playing. It is jointly planned and produced by MYSTIC STORY, a comprehensive entertainment contents company, and '배달의민족', the first delivery service in Korea. Famous restaurants that have been introduced to the food delivery service of '배달의민족' are participating in festivals and are expecting the best food, based on the B class code, parody, and kitsch sensitivity unique to '배달의민족'. Yoon Jong Shin, MAMAMOO, Zion.T, Norazo, ChoJungChi & JUNHIN, SORAN, and Sultan Of The Disco, etc gather expectation with colorful lineup. '와이키키2' In Gyo Jin, a professional baseball player! - In Gyo Jin, '와이키키2' Shin Hyun Soo's 'senior' acting together! - In Gyo Jin, "와이키키2" Limited Edition cameo join! In Gyo Jin showed off a short but intense presence at the '으라차차 와이키키2'. In Gyo Jin, who plays a perfect role in any role, made a special appearance on JTBC drama '으라차차 와이키키2' on the 8th. 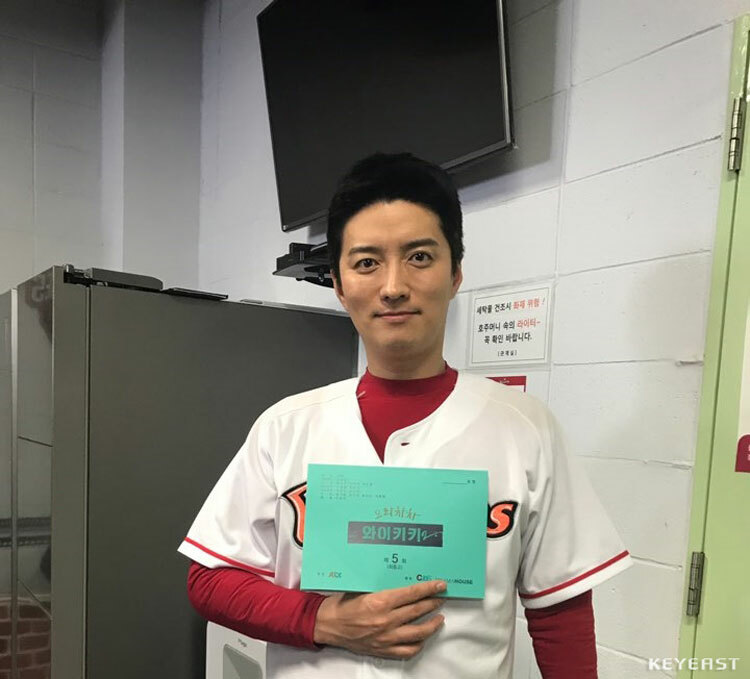 In Gyo Jin, who picked up the topic before the show with the appearance of the trailer, turned into a baseball team senior of Shin Hyun Soo (Guk Ki Bong). In the 5th, Hani and Ki Bong played a selection test with a batter and a pitcher. When there was an important game, Hani had the jinx to repeat the horse and the action four times, and Ki Bong had the jinx to eat the fried rice and the toilet. Unlike Ki Bong, who had a limited range of abdominal pain, Hani had plenty of time to complete all four times from preparation to swing. As time went by, many viewers laughed at the contrast of Hani and Ki Bong. In the meantime, veteran actors such as Jeon Soo Kyung, Lee Joon Hyuk, Joo Sang Wook, Oh Na Ra, Jung Man-Sik, Moon Hee Kyung, Lee Jung Eun and Lee Si-eon. In Gyo Jin, Lee Chang Min acted as a special guest in a relationship with the director. In Gyo Jin is a cute character with a sense of reversal. And with his extravagant acting, he infused the erroneous Hani character and exploded comic synergy with Shin Hyun Soo. 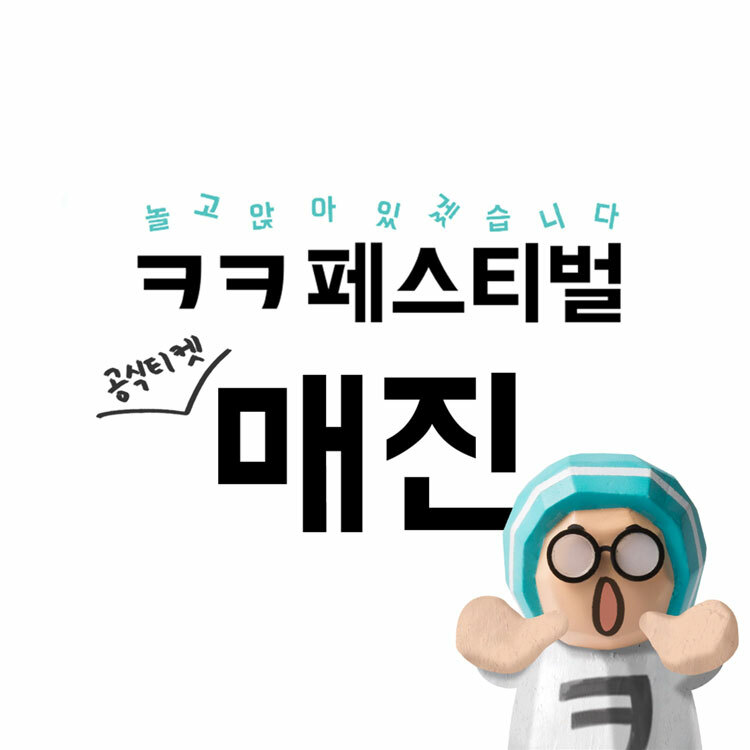 In Gyo Jin 's comic performances laughed as he snatched the laughing code of the "으라차차 와이키키2" audience. In Gyo Jin, who plays a brand new stealer at '으라차차 와이키키2', recently confirmed his role as a JTBC drama '나의 나라' Park Moon Bok. '특별근로감독관 Cho Jang Pung' Kim Dong Wook, Acting Actively! - Kim Dong Wook, # Judo # Action # Increase in weight Turned into 'Cho Jin-gap' that can not stand the injustice! '특별근로감독관 Cho Jang Pung' Kim Dong Wook has enthusiastically attracted viewers since his first act. On the eve of the MBC drama '특별근로감독관 Cho Jang Pung', Kim Dong Wook, who plays the main character Cho Jin-gap, showed a perfect impression of characters. In the first and second broadcasts, the story of Cho Jin-gap, a physical teacher from Jiu-Jitsu who could not stand the injustice, was drawn up as the labor inspector. He has led the focus on the current and past stories of Cho Jin-gap. In addition, Kim Dong Wook predicted his future role with the job and role of the work supervisor, a somewhat unfamiliar job. Kim Dong Wook has shown a sense of unfairness from the standpoint of the worker, and the employer has shown strong emotions and pleasure at the same time with a strong acting ability in the act of punishing the best in the frame of the law. Especially after Sunwoo (Kim Min-kyu), who was a former student, filed a lawsuit against unfair dismissal and wage payment, Sunwoo, who believes in Jin-gap and sends infinite trust, The scene in which Ah Na (Lee Na Yoon) 's pride was decided to dig out the reminiscence of the Jin - gap saying, expecting the birth of a reality - tailored hero. Kim Dong Wook, who comebacked after six months of OCN "손 the guest" last year's popular OC, erased all of his previous characters and turned himself into Cho Jin-gap in Cho Jang Pung. With the visual alone, there were signs of trying to express the character's warrior, as well as the age and occupation of Cho Jin-gap characters. Because he was a member of Judo, he helped Cho Joon Ho coach and former Judo player and UFC player Kim Dong-hyun to increase his weight by 10kg. He also exerted some of the action around, and energized Cho Jang Pung's definition implementation story. As such, Kim Dong Wook is expected to lead the performance of Cho Jin-gap, a reality-tailored hero, with distinctive visuals as well as Kim Dong Wook's delicate emotional performance and wide smoke spectrum in Cho Jang Pung. On the other hand, MBC drama '특별근로감독관 Cho Jang Pung' 3, 4 times, is broadcasted at 10 o'clock tonight, with actors starring Kim Dong Wook, Kim Kyung Nam, Park Se Young and Ryu Duk Hwan. Model Lee Yu Ri, Yoon Jung Min '렌트 채널, 님은 부재중'! ESteem's models Lee Yu Ri and Yoon Jung Min appeared on SBS Plus '렌트 채널, 님은 부재중', which was first broadcast on April 8th. Lee Yu Ri and Yoon Jung Min, which were broadcast on "렌트 채널, 님은 부재중", appeared as a role of 'Fan manager' representing public viewers and added to the broadcasting interest. Model Lee Yu Ri was accompanied by a 24-hour vlog of Jeju Island with Kwon Hyuk Soo, who made a personal broadcast on the Yeo-jeong broadcast channel of travel creator Seon Yeo-jeong. For Kwon Hyuk Soo, who has been broadcasting all over the air, Lee Yu Ri laughed and laughed, saying, "Not a Vlog, but a lost log." Model Yoon Jung Min appeared with BJ 'GAMST', a soccer professional, and Ji Sang Ryol, who showed a humble gesture. Yoon Jung Min, who has actively participated in the broadcast, said, "I will catch up with the young person who is going to chat in real time." ESteem's model Lee Yu Ri made his debut in '2018 Supermodel Survival' and won the ELROEL award to inform viewers. The model Yoon Jung Min won the top prize in the '2018 Supermodel Survival' award, Samsung Pay, 8Seconds , KT, and other active advertising models. As a model-takeer who showcases a variety of tastes, it raises the expectation of how those who set their sights will shine on each channel. Meanwhile, '님은 부재중' is a program where entertainers borrow a popular channel of the creator for a day to produce their own contents. Gamst X Ji Sang Ryol, Yeon-jong creator Shugi X space superstar Kim Hee Chul and Yeo-jeong X Kwon Hyuk Soo, who left the journey creator's journey, won the "2018 Supermodel Survival" Park Min Young, Yoon Jung Min, Yoon Joon-hyeop, Lee Sun Jung, and Lee Yu Ri) have been putting together as a 'fan manager' representing the viewers. "렌트 채널, 님은 부재중" will be broadcast on SBS Plus at 11 pm every Monday.